Looks like a hefty increase in tax on tobacco compliments of our Chancellor (Has anyone else noticed how he looks a bit like the Joker from Batman?!) I am guessing that by the time ‘Inflation +5% +VAT Etc goes through it could be almost a 10% hike in prices. I’m not sure what the point of a 1p decrease in tax on beer is? Seems pretty stupid to a simple cigar merchant like me. Prices on whisky will be increasing. I read that tax on spirits has increased by 44% since 2008. 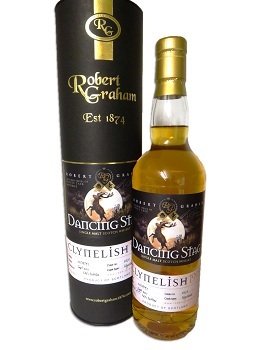 I ’m going to hold prices on our own Dancing Stag and Robert Graham single malt whisky as long as possible but you may want to stock up the bar sooner rather than later! Fortunately 1000’s of my clients have been stocking up like crazy (Double the usual daily orders!) over the last 2 weeks in expectation and the blow is softened at least in the short term. We will hold our prices for as long as we can but price increase is sadly inevitable. Had a lunch herf at the Wellesley Hotel on Tuesday. Cold day but you wouldn’t know it on the beautiful carpeted heated terrace (Not just heated but even a fireplace on each terrace!) delicious food as usual and the finest service in London. I was invited to a fabulous dinner at Boisdale Canary Wharf on Tuesday evening with Andrew Neil as guest speaker. I always admired him but after last night I think he may well be the best journalist/political commentator I have ever heard speak in my life. Absolutely brilliant. The dinner was held in the Gallery Room and I reckon there were around 40 attendees and I met a great bunch of guys at the table. Barclays Wealth Management Team also gave talks about the economy which were very interesting indeed. My thanks to Ranald for the kind invitation. Boisdale Canary Wharf has a comprehensive menu (Even for fussy veggies like me!) a great wine list, a huge whisky bar first rate service and a superb cigar terrace. It also has a super ‘Cigar Library’ with a huge range of premium cigars and a comfortable sampling room. Who could ask for more? Boisdale Canary Wharf is of course the home of our Vintage Cigar Auctions and the next Auction will be held on the 10th June. Our first auction was back in 2009 at Boisdale Belgravia (One of my regular haunts!) but we outgrew the cigar terrace there and moved to BCW. Cigar Auction update will be on the Auction website and the catalogue will be online and in print around 4 weeks before the event. 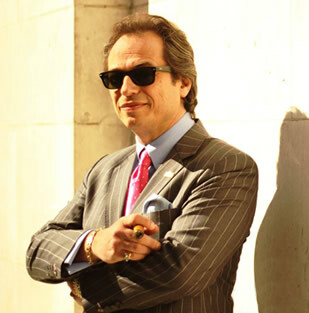 An evening of great smokes, eats and drinks is assured as usual and no doubt some bargains may be bagged at the auction. Tickets for the event on sale in in the next day or two. Book early to avoid disappointment. Our first allocation of Romeo Reserva has more or less sold out now but we are hopeful that another allocation will be on its way fairly soon. We are now taking pre orders for my friend Amir Saarony’s book Hoping to start shipping in April. It’s a must read for every serious cigar aficionado. Truly magnificent with mouth-watering photographs. My latest Orchant Seleccion Juan Lopez Havana cigars were a massive hit last week. Matured from 2008, this sweet flavour and medium strength corona gorda is quite delicious. Last few cabs available now.